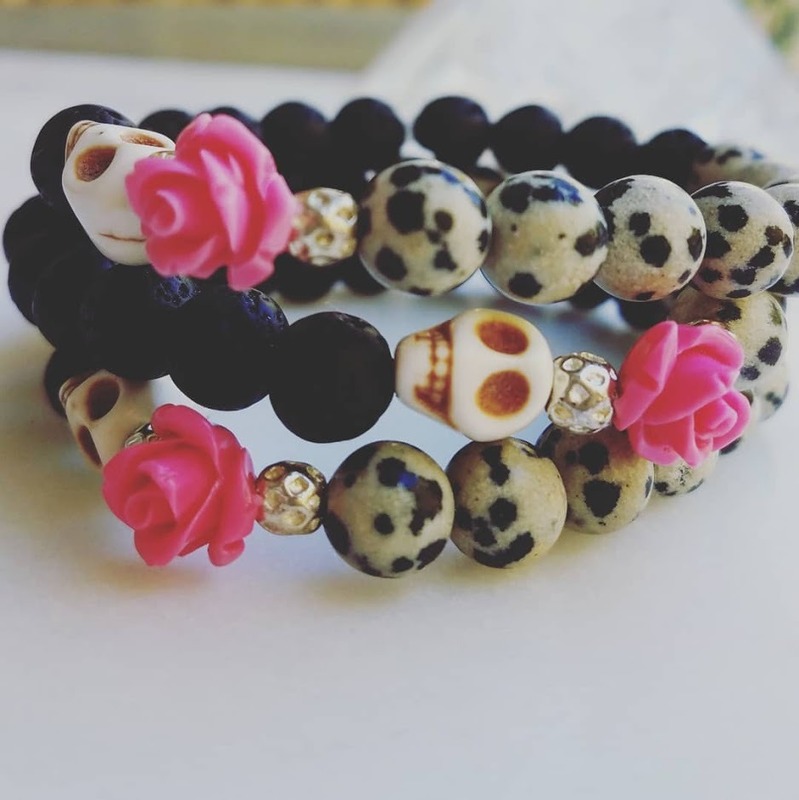 "Pretty & Sweet Spirit Protected" Lava for essential oils and Dalmatian Jasper that provides spiritual safety and psychic protection from the ghouls and spooky energies of Halloween. These stones promote positive vibes and joy. 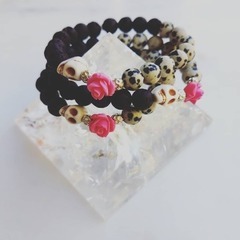 Pairs well with calendula and rose essential oils for Day of the Dead or other celebratory times during the darkness of winter. Listing is for one stretch bracelet. SM-MED size - contact me for custom sizes at no additional charge.